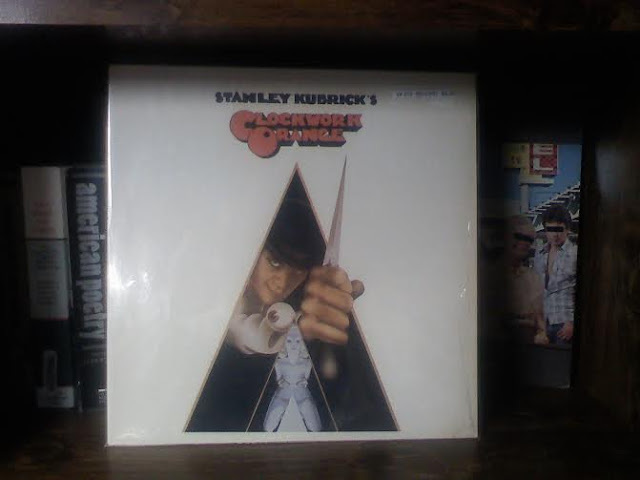 Stanley Kubrick received death threats for his movie version of novelist Anthony Burgess' book A Clockwork Orange. The threats were so serious he banned the film himself and it could not be shown in England until after his death. Kubrick had originally received the novel on the set of Dr. Strangelove from writer Terry Southern, and reportedly did not like it very much. It remains one of two movies, along with Midnight Cowboy, nominated for a Best Picture Academy Award despite having an X rating. We listen to this soundtrack exactly once a year when we are driving to the Union Railway Museum to see Thomas the Tank Engine. I bought this copy at the new antique mall on North Second street. The English have a phrase "Queer as a Clockwork Orange." No one knows what it means.